I recently bought a STI tmic that looked really ropey... I straightnened out most of the fins where possible, and removed the sections of fins that were too far crushed to be salvable. Basically a 52mm pipe, with a cap welded on, and another 76mm, also with a cap. 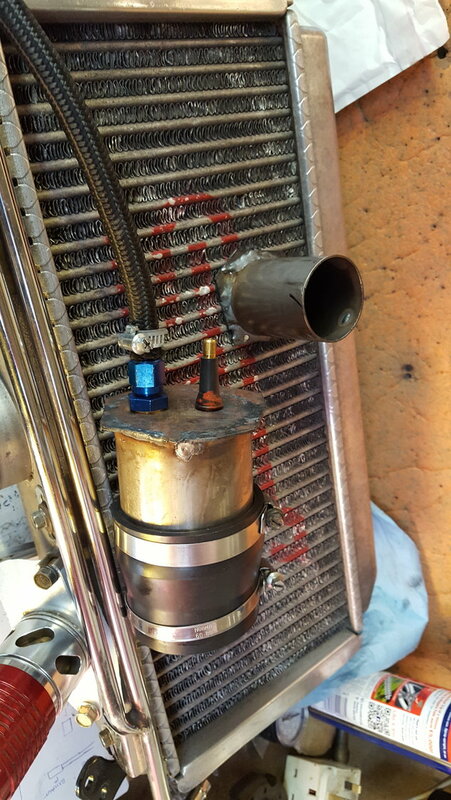 The 76mm one was further modified to take a tyre valve, so that I could add small amounts of air to the intercooler. Seems to work well - the dump valve cracks open at about 0.3 bar because it hasnt got the air pressure holding it shut, but 0.3 bar should be enough to find any leaks anyway imo. Found that the seals that seal the y pipe were leaking, and also one of the silicone hose joins on the y pipe was also leaking. 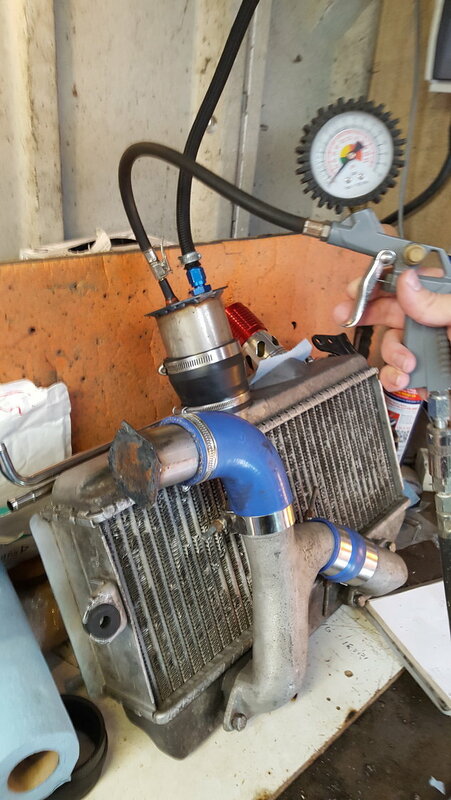 It wouldn't have been possible to see that the gasket was broken, so well worth testing. Probably worthwhile to always replace the gaskets when fitting a TMIC or include them as part of a scheduled service, given the price. I used a hose and an old bike innertube. Filled with water and as the pressure grew it eventually popped the end off. i then left it full of water overnight to see if it would leak. can i borrow a pressure tester?